This rehabilitated bald eagle will be released back into the wild on Saturday, May 27, at West Point Lake near LaGrange, Ga. The Southeastern Raptor Center, in conjunction with Georgia Department of Natural Resources, will release an adult Bald Eagle Saturday, May 27, at West Point Lake near LaGrange, Ga. The release will take place at noon EST near the Pyne Road Park boat ramp off Ga. 109 (Roanoke Road) just west of LaGrange. The release is open to the public. Responding to a call from a citizen, wildlife technician Cody Langford of DNR’s Wildlife Resources Division found the injured eagle in a Troup County hayfield and took it to the Southeastern Raptor Center on Feb. 11, 2016. The bird had an open fracture of the left metacarpus (wing tip) as well as internal bleeding, said Dr. Seth Oster, an assistant clinical professor and avian veterinary expert at the Auburn University College of Veterinary Medicine and primary veterinarian for the SRC. “We stabilized the patient and confirmed the fracture with radiographs. We used a splint to repair the fracture and after six weeks moved the patient to one of our large flight aviaries,” Dr. Oster said. The mission of the Southeastern Raptor Center is wildlife conservation, education and rehabilitation. 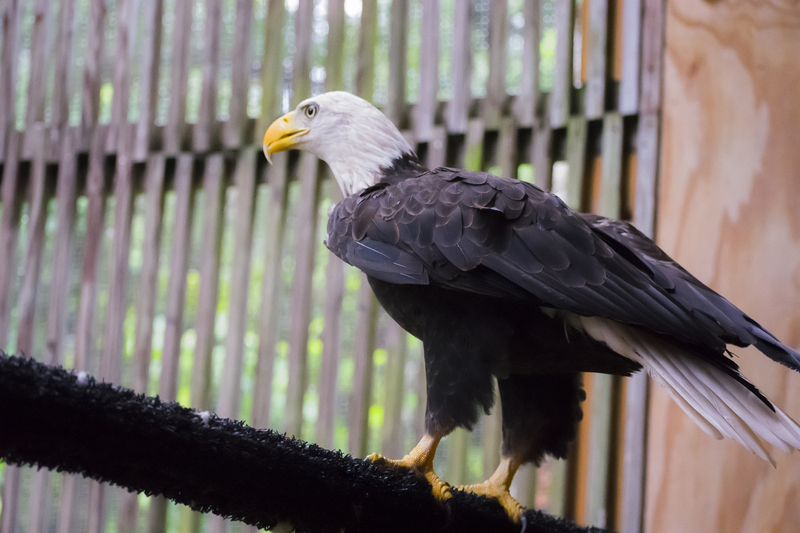 Since its inception in mid-1970s, the Southeastern Raptor Center has rehabilitated and released thousands of injured birds of prey and educated more than 1 million people about raptors and other wildlife. The Southeastern Raptor Center is a division of the Auburn University College of Veterinary Medicine.